As consumers gained access to more information about the sourcing and ingredients in their food, they simultaneously developed a greater awareness of the flaws in the food system. Consequently, today’s Conscious Consumer 2 has higher expectations than ever before of what food should be – nutritious, delicious, safe, affordable, accessible, authentic, purposeful – and scores of innovative food brands are rising to the challenge. Much like government, the food industry isn’t just going to fix itself. 3 And for a long time, it didn’t really have to. But today’s consumers have awoken to a myriad of systemic issues – chief among them the grotesque amount of food wasted in our country and around the world. Research suggests that up to 40% of our food supply goes uneaten – to put it in perspective, that’s like buying three bags of groceries and throwing away a full one every time you shop. 4 In the U.S. alone, this represents a staggering 133 billion pounds of food annually. 5 Celebrity chefs like Anthony Bourdain and Tom Colicchio are calling attention to this issue (look for their documentary, Wasted!, to debut later this year), and the U.S. government is exploring ways to halve the amount of food waste in the country by 2030. Several purpose-driven companies that we met at Expo West are doing their part to mitigate this impact by developing innovative products from common manufacturing waste byproducts. 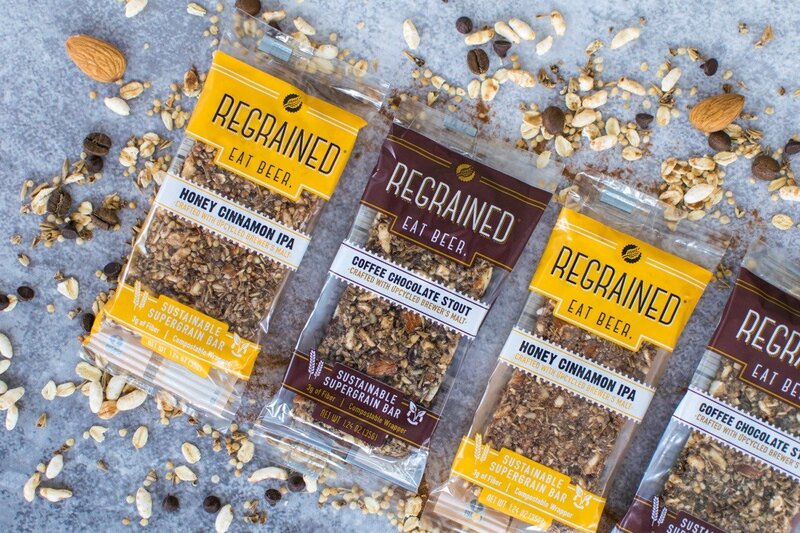 We sampled incredibly delicious spent grain granola bars from ReGrained, a company that is on a mission to get people to “Eat Beer” by upcycling the leftovers from the craft brewing process; Uglies, a brand that rescues less-than-perfect spuds from farms and produce brokers that would otherwise pass them up, turning them into perfectly delicious potato chips; and Sir Kensington’s Fabanaise, an eggless, vegan mayo-alternative derived from aquafaba – the starchy liquid that chickpeas are canned in, and that is often wasted in the hummus manufacturing process. Mindful consumers that are committed to making the food system more sustainable now have a choice to buy brands like these – and hopefully soon, more will follow suit. On the show floor, we saw everything from burgers and bars to confections and condiments that highlighted exotic ingredients like kimchi, gochujang, harissa and ghee. 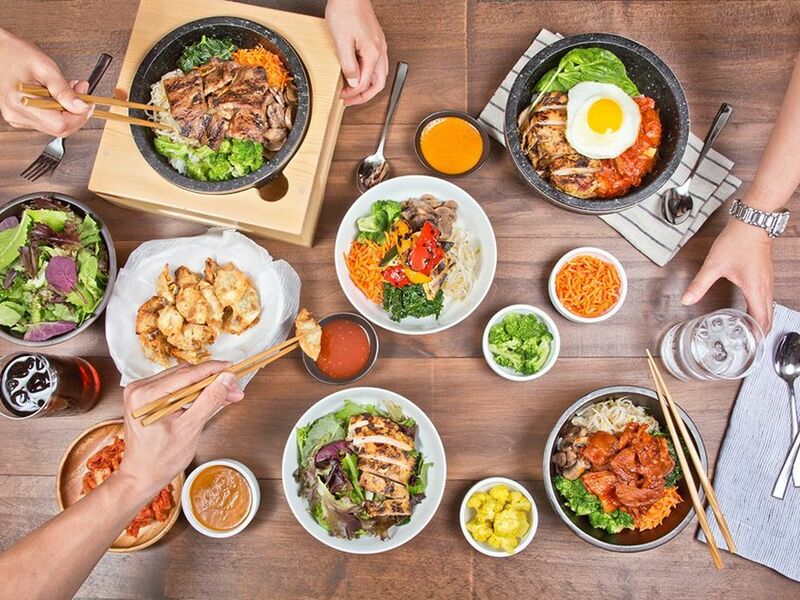 Trending cultural cuisines like Korean, Cuban, African, Filipino and Brazilian also made their mark. 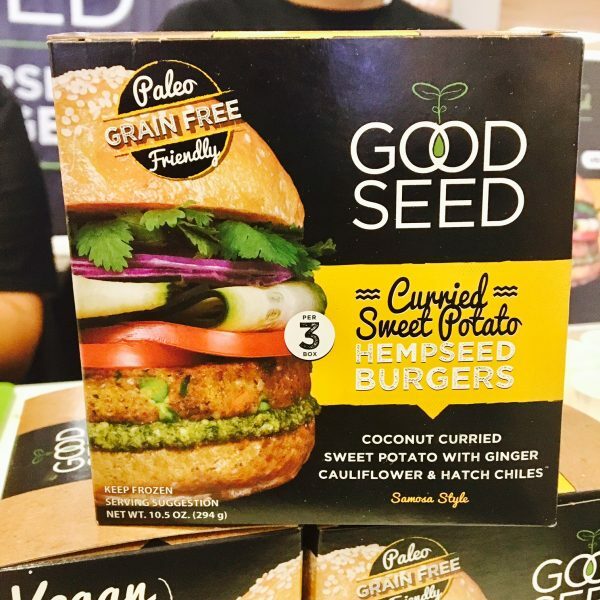 A few favorites that transported our taste buds: Good Seed’s Curried Sweet Potato Hemp Seed Burgers; Bibigo’s Korean BiBimBap frozen entrée; Lesser Evil’s Oh My Ghee! Ready-to-Eat Popcorn (made with 4th & Heart ghee); SmashMallow’s Cinnamon Churro Marshmallows; Buen Sabor’s “Junk-Free” Empanadas; and Lorissa’s Kitchen jerky, in spicy-savory-sweet Asian flavors like Szechuan Peppercorn, Korean BBQ and Thai Sweet Chili. Americans are living more hectic, on-the-go lifestyles than ever before. Sad fact: 1 in 5 meals are consumed in the car. 9 And yet, we aspire daily to be healthier and to eat better – and we’re no longer willing to sacrifice our well-being for the convenience of cheap, fast food. Our multi-tasking lifestyles are also propelling the need for time-saving meal shortcuts – whether that’s shaving off minutes of prep, cook or clean up time. When dinner is consumed at home, the whole affair only lasts an average of 12 minutes 10 – which makes even “30-minute meal” recipes seem like an exercise in futility. Time-pressed chefs are increasingly turning to efficient hacks like pre-chopped produce, 5-ingredient-or-less recipes, and one-pot meals – but what happens when you don’t even have time (or desire) to cook? 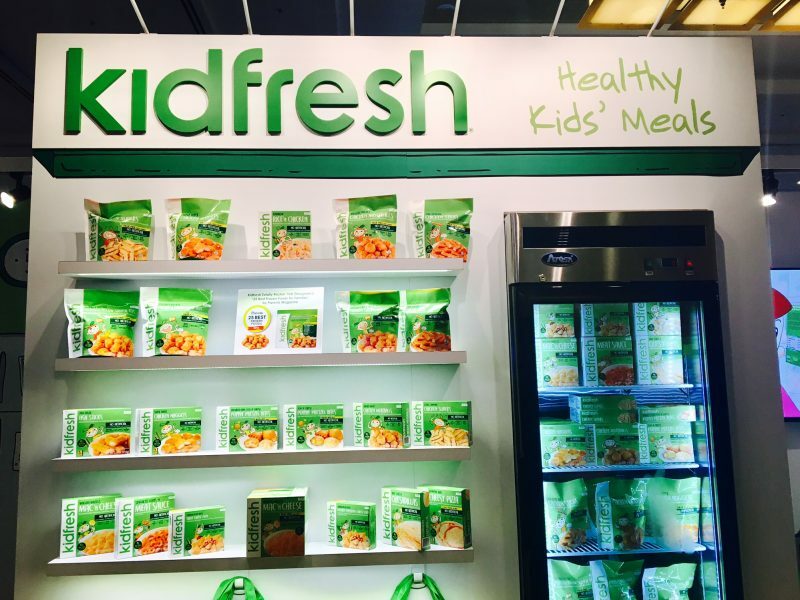 Fortunately, several CPG products are cracking the code on fast + fresh – including Zupa Noma’s line of ready-to-drink, veggie-based soups in a bottle; Paul’s Finest Quinoa bowls (pre-cooked and shelf-stable, with sauce to mix in); and KidFresh’s guilt-free frozen foods like chicken meatballs and potato puffs – both with hidden veggies – that parents can feel good about serving to their kids. As healthcare costs in the U.S. continue to rise, it’s not surprising that consumers are looking to prevent, control or even treat their ailments through a more thoughtful approach to their diets. 14 Products with functional claims to improve everything from mental clarity to sleep cycles are garnering trial among open-minded consumers, who may be wondering if Dr. Praeger has more answers than their PCP. One of the hottest areas of study within the natural space is gut health – focusing on the balance between good and bad bacteria and yeasts in the body, and the role the digestive system plays in this relationship. 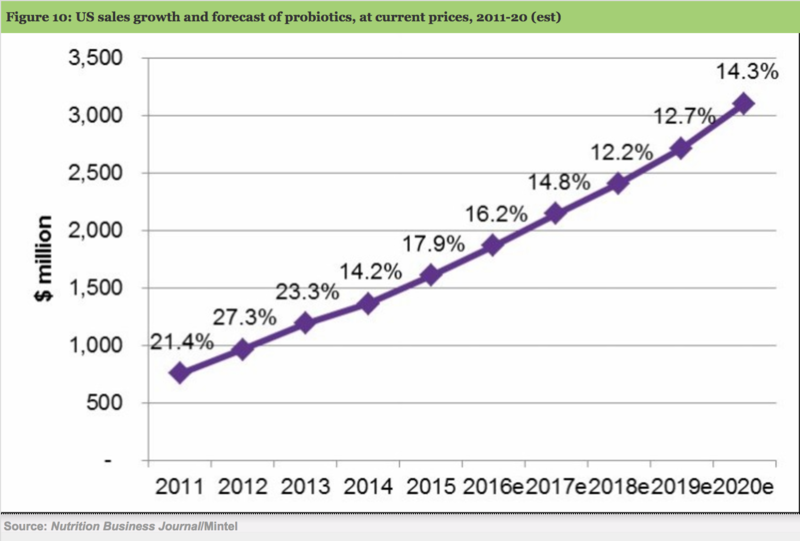 As a result, probiotic sales have more than doubled in the last five years, 15 and consumers have become infatuated with fermented foods and beverages that contain naturally occurring probiotic strains. 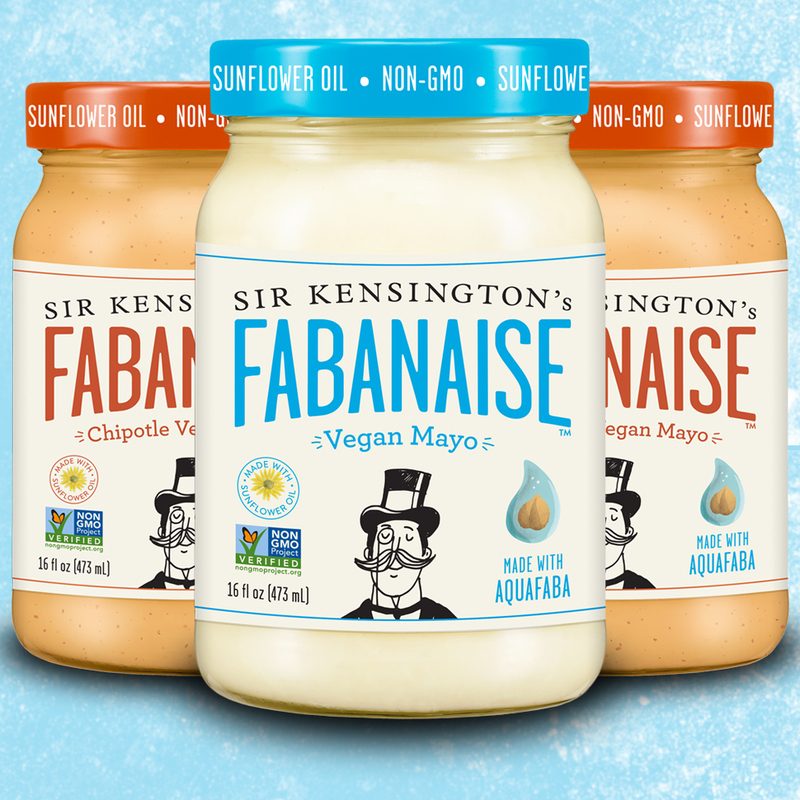 While fermentation is nothing new (in fact, it’s an ancient technique), this sub-category appears to be gaining broader acceptance among consumers who are feeling benefits from the “live” microorganisms in these products – or at least are having more fun eating and drinking their nutrition than taking pills. 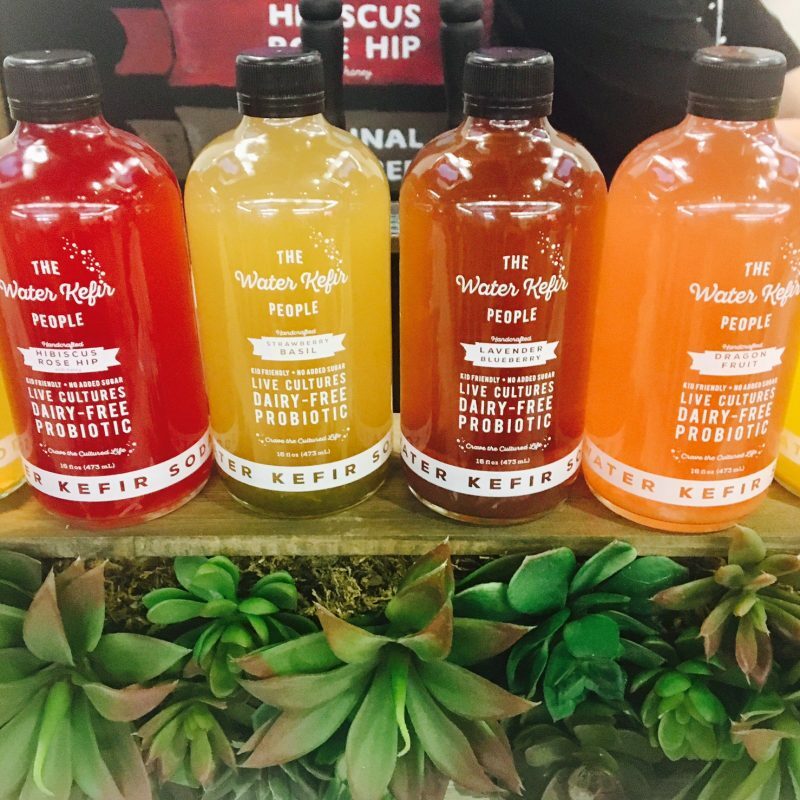 Fermented beverages like kombucha, kefir, shrubs and switchels were all over the show floor, as well as tangy snacks like kimchi and sauerkraut – and of course, yogurts galore. We took a quick break from all the indulgent bites to drink to our health, with brands like Farmhouse Culture – makers of Gut Shot and Kraut Krisps, who just scored a funding round led by General Mills’ 301 Inc. 16; The Water Kefir People (what is water kefir, you ask? Do yourself a favor and look it up! ); and Humm, who finally convinced me to try the funky brew that is kombucha – with enticing flavors like coconut lime and hopped grapefruit. While I always leave Expo West inspired by the inventive new products I see and the passionate entrepreneurs I meet, this year’s show really forced me to think more deeply about the increasingly complex relationship between consumers the food industry’s key players – manufacturers, retailers, growers and suppliers – and how each critically impacts the future of food on our planet. At an educational session with The Mom Complex, CEO Katherine Wintsch reminded us that “where there is pain, there is profit.” There is no denying that the U.S. food industry has been responsible for creating its fair share of pain – whether by manufacturing foods that negatively impacted consumers’ long-term health, by utilizing unsustainable or inhumane farming techniques, or by filling acres of landfills with wasted food. And for some time the sales still rolled in, despite these worst practices. But the tide has finally turned – and now consumers are serving that pain right back to the industry. 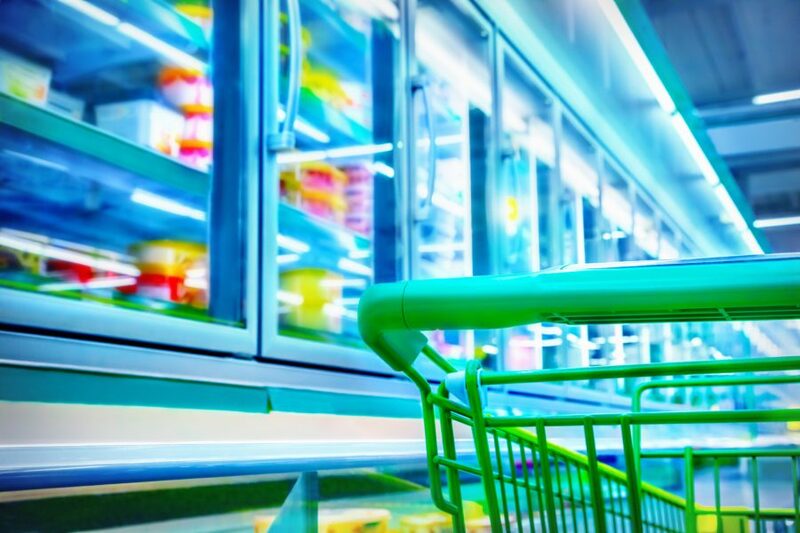 Those companies brave enough to admit the flaws of the current system – that can forge a new path forward, and truly meets the demands of the modern food consumer by addressing their pain points – stand to regain trust and profit immensely. 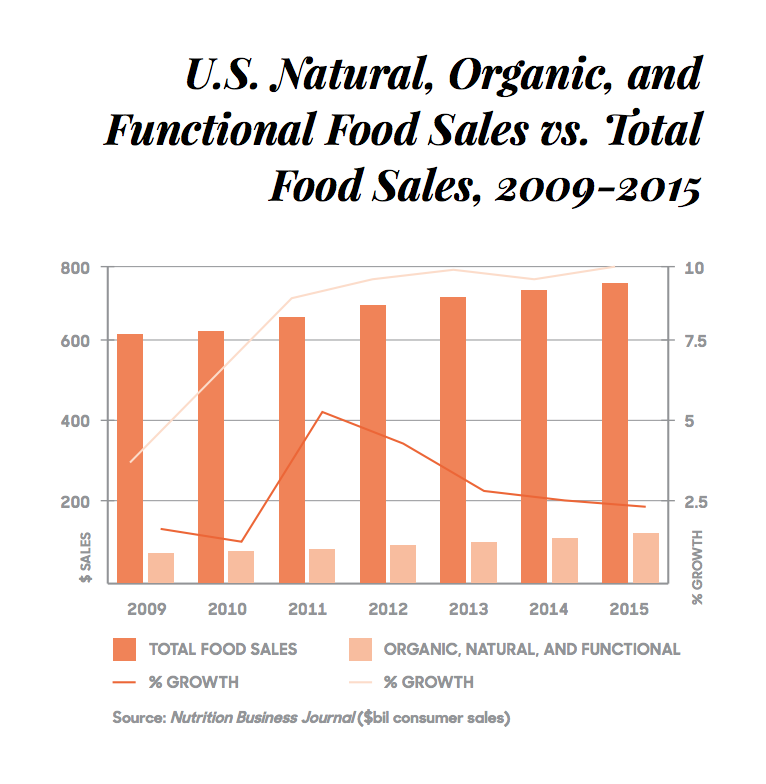 Big Food brands like Campbell, General Mills, Danone, Hormel, Hershey, Mondelez, PepsiCo and Dr. Pepper Snapple have already begun to answer the call via aggressive M&A strategies to acquire natural and organic brands over the past few years. But injecting the DNA of a purpose-driven brand into a multi-billion-dollar corporation isn’t just the right thing to do – it also makes good business sense. 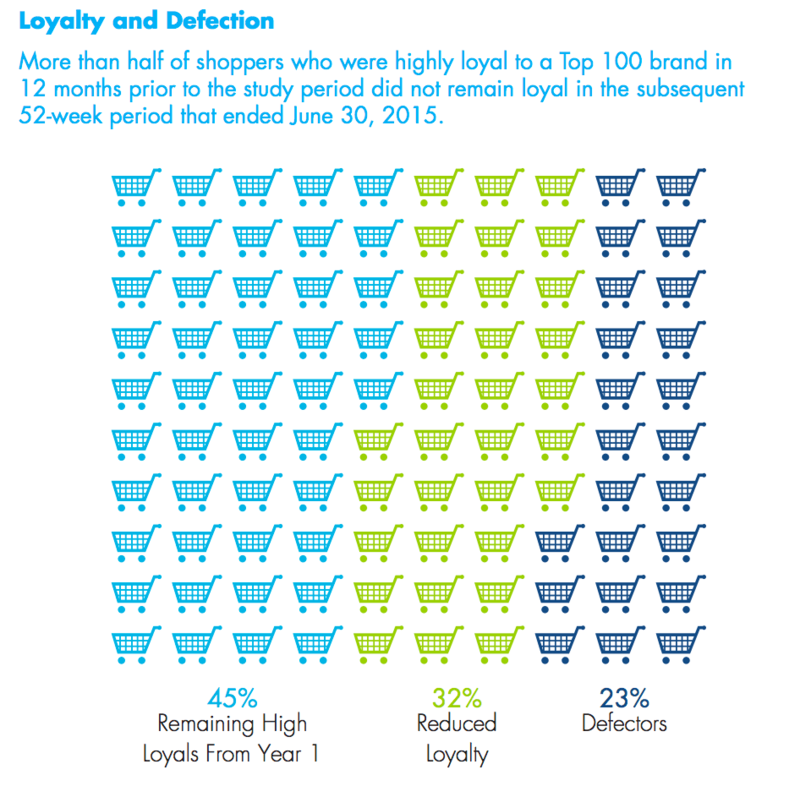 The average CPG brand loses one-third of its consumers every year – and in 2015, 55 percent of highly loyal shoppers either reduced loyalty or completely defected from the Top 100 CPG Brands. 17 That’s a business-breaking risk to take, if consumers decide to shift their dollars away from your brand to natural or organic ones that better align with their values and needs. The true payoff of Big Food’s investment is yet to come, in the democratization of Good Food. Five years from now, I hope we’ll no longer need to delineate between natural food and all other food – because all food will be natural. And we won’t speak of healthy food and drinks as premium or special occasion items – because they will no longer be luxuries for the few, but accessible and affordable staples for all. This is the future of food that we’re racing toward – and if you ask me, it can’t come soon enough.